Certainly by now marketers know that content marketing is vital for awareness and credibility, but how does it drive demand? This presentation will match content type, distribution channel and metrics to each stage of the "funnel". Filled with real world examples, the session will help marketers understand how to create content that not only fills attracts new leads, but also helps convert prospects into buyers. 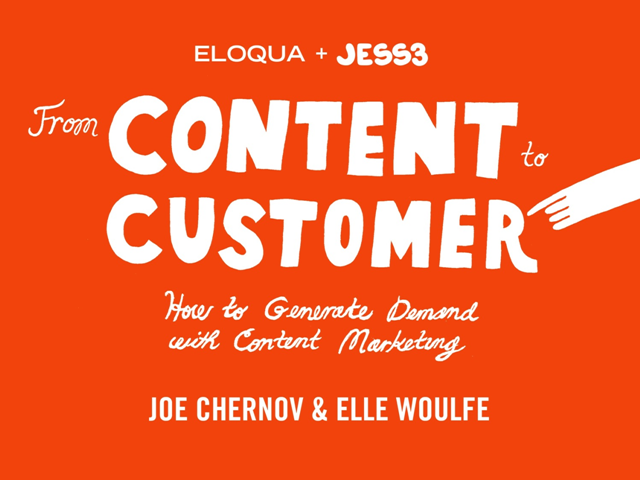 Joe Chernov is the VP of Content Marketing for marketing automation SaaS company, Eloqua. He is responsible for imagining, creating, distributing and measuring content that increases awareness and drives demand. Joe also oversees public relations, analyst relations, Web, organic search and community. The former chair of the Word of Mouth Marketing Association’s ethics panel, Joe speaks at universities and conferences around the world on social media ethics and content marketing.